The legendary Chas & Dave will entertain audiences once more in 2014, this time at London's Royal Albert Hall on the 25th of April. The duo will perform at the venue for the first time along with supporting musicians. The show will mark the 50th anniversary of when the pair first met as well as the release of their brand new album entitled ‘That’s What Happens’. The album, which is out now, is their first studio release since 1995 and features additional material from Albert Lee, Martin Taylor, Jools Holland and Hugh Laurie. 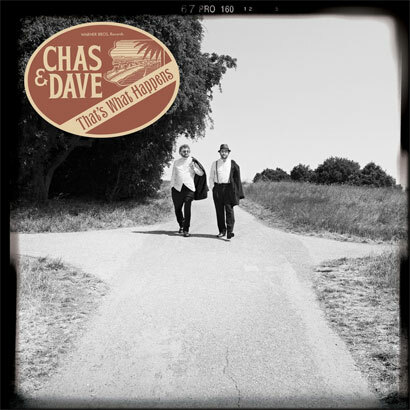 Chas & Dave are known for their ‘rockney’ style which is a mixture of pub style sing-a-long tracks teamed with some rock & roll for good measure. They were thrown into the limelight with their single ‘Gertcha’ in 1979 which peaked at no. 20 in the UK charts. The pair went on to have eight top 40 singles including ‘Ain’t No Pleasing You’, and ‘Rabbit’ as well as four Tottenham FA Cup songs like ‘Ossie’s Dream (Spurs Are On Their Way To Wembley)’ which reached no.6. In total 9 out of their 15 albums also reached the top 10, with 1995’s ‘Street Party’ reaching the duo's highest chart position of no.3. Chas released a self-titled biography about the pair in 2008, which took him over 25 years to write. They opened up for Led Zeppelin back in 1979 at Knebworth, and in 2005 the duo played at Glastonbury, describing the performance as one of their proudest moments. Their was a brief hiatus for the group after the death of Dave’s wife Sue in 2009, however they reunited for a tour in 2011 and again for Christmas shows last year.